During our series on the use of social media for businesses, we’ve seen that each platform requires a different approach. Twitter rewards conversation starters, whereas Facebook means building a following. However, platforms like YouTube and Instagram require businesses to create their own content. This can be difficult for some. Content takes time and effort to produce, as well as a creative mindset that may not be readily available. Here, to tackle this problem is Rocketium, a new way of creating videos for your social media presence. Rocketium is a tool to create videos and gifs to draw in an audience, and is easy to use even without experience. Using the platform’s huge library of stock images and videos as a base, you can produce content with the minimum of fuss. Simply add overlaid text and your choice of music, and you’ve got a shareable piece of content to excite potential customers. 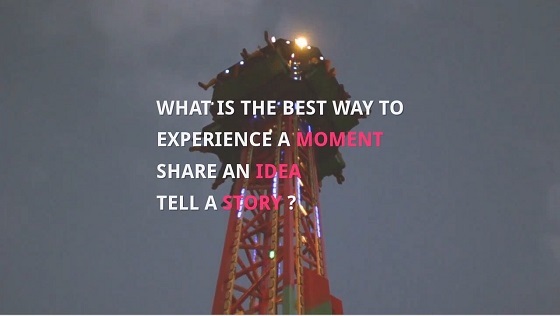 Videos can be anywhere from 30 seconds to 15 minutes long, it all depends on the story you want to tell. Like any other social media content, it should help define who you are and speak to the demographic you’re targeting. Rocketium is also friendly to international business – it comes with an automatic translator so you can target content at foreign markets. The standard version of Rocketium is free to use. You’ll be able to create 30 second videos, with up to 80 characters per caption. And although each one will come with the Rocketium watermark, you can upload 10 videos a month. For around £35 per month, the professional plan removes the watermark and replaces it with your company logo. It also offers broader functionality and longer videos. For large businesses made of many moving parts, it means different departments can all access the same account. The great thing about Rocketium is the overlaid text. Many users don’t actually listen to videos. They’re using their phones at work, or on the bus, or they’re listening to music at the same time. Overlaid text means they don’t have to – and still get your message across. All of this makes Rocketium a great tool for businesses that sell aspirational products. The text and images work symbiotically to evoke a feeling, whether it’s of nostalgia or wanderlust and adventure. Users will go on to share this kind of content with each other, since it’s something that speaks to them on a slightly deeper level. We’ve seen a few different social media tools that can be used in conjunction with your existing profiles, and Rocketium might be the best one yet. It means upping your output without sacrificing your time. However, keep in mind that too many similar videos will hurt you rather than help you, since you’ll lose that feeling of expression which elicits user responses.